Have you ever suffer from a burning feeling in your chest? The answer is “yes” for a great number of people. According to the latest researches, there is one out of ten Americans is troubled by constant heartburn in the United States. It is always meaningful for them to know more about the symptoms, causes and ways to get rid of heartburn. You can adopt various kinds of treatment to get heartburn relief. The burning sensation in your stomach is the primary symptom, which can be easily diagnosed. If you feel not certain whether you have a heartburn or not, you are required to go to hospital to detect it by professional tests such as gastrointestinal endoscopy, upper Gl series, esophageal manometry, and 24-hour PH monitoring. For women in pregnancy, they may feel the pain in the lower part of the middle chest and they have the bitter or sour taste when they actually eat no bitter or sour food. Moreover, it is hard to swallow the food if they suffer from heartburn. Unhealthy habits are usually the causes of heartburn. Smokers suffer from heartburn more frequently than people who do not smoke. Smoking sends out nicotine, which stimulates the lower oesophageal. This stops the stomach acid from rising up and irritates the esophagus. Drinking alcoholic beverages also causes heartburn for it leads to Acid Reflux. Besides, coffee, whether it is decaffeinated or not, causes heartburn if you are addicted to it. Heartburn is a common symptom for women in pregnancy because the hormones are elevated, the digest process is slowed down, and the uterus grows during this period of time. Take some medicine to cure your heartburn. When you suffer from heartburn, you are recommended to go to hospital for a prescription, from which you can know some effective medicines such as antacids, foaming agents and H2 blockers (Histamine receptor antagonists). If your purpose is to eradicate the heartburn, you must get rid of smoking and drinking alcohol. The habit of drinking coffee should be controlled, too. Some people may complain that they cannot work whole-heartedly without the help of caffeine. Why not try to have a good sleep in the night? Anyway, excessive coffee drinking also causes other problems in your body. Besides, citrus fruits, tomatoes, chocolates, saturated fats and processed food will no longer appear on your diet if you are diagnosed with the heartburn. Do not lie down within two or three hours after your meals no matter how tired you may feel. You’d better stand for at least 30 minutes after meals. You should stand upright to keep acid in your stomach. When you lie down, you need to keep your head up. Drink a large glass of water immediately if you feel the heartburn. When you drink the water, the acid will be washed back down into the stomach with the push of water. Drink something that will relieve the heartburn. There are some stomach soothing drinks such as papaya, guava, pear and mango juice. Vegetable juices such as carrot, cucumber, radish, and beetroot are also useful to cure the heartburn. You can also chew on the sugar-free gum, which will generate and swallow extra saliva. Drinking milk is not only good for your bones but also for your treatment of heartburn. Make some antacid by yourself. Bicarb is usually helpful for curing heartburn. I do not suggest that you drink the diluted bicarb without any additive. In fact you need a few drops of lemon juice to dispel the gas which bicarb produces when it reacts chemically with stomach acid. You can drink the mixture of baking soda and water. 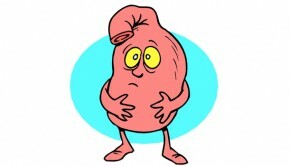 The hydrochloric acid produce by your stomach when it digests food is so corrosive that it causes the burning feeling. The mixture will neutralize the acid to some extent through bringing the PH of the substance in your stomach up. Cure heartburn occurred in pregnancy. Some of the common treatments presented above are suitable for pregnant women. They can adjust their lifestyle. 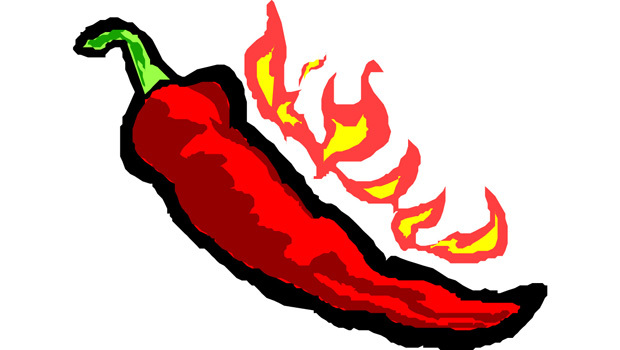 Caffeine-rich foods, fatty and spicy foods should be avoided on their diets. They are required to eat more than three meals a day with small portions. They can also chew on a piece of sugar-free gum to balance the acid in the stomach. If the symptoms have not been relieved or they have become even worse, they should go to consult the doctor immediately.